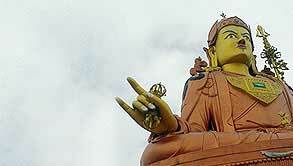 A fast developing site for tourist, the city is situated at an altitude of 6800 feet. 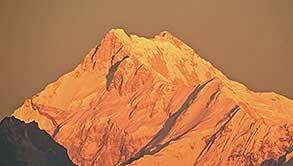 Pelling is famous for the panoramic view it offers of the entire mountain range including the mighty Khanchendzonga. 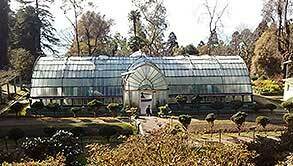 Pelling has a good number of hotels and resorts to stay. 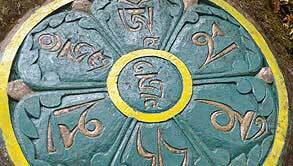 Pemayangtse Monastery - One of the oldest Monasteries in the state. 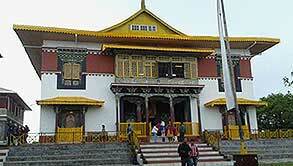 The Monastery is situated at an altitude of 7000 feet and at a distance of 6 kilometers from Gyalsing. 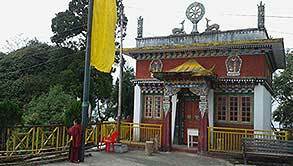 The Monastery is the only institution in Sikkim having the incredible Sangtok – Palri, a wooden carving depicting the various realms of Buddhism and one can start trekking to Sanga Choling Monastery. Khecheopalri Lake - Considered as one of the most sacred lake, it is said that no leaf drops in the water surface, though it’s surrounded by forest. A steep road exists to reach Khecheopalri from Pemayangtse. The lake is surrounded by a thick forest cover. 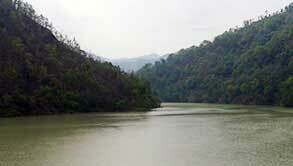 You can taste the local cuisine which may include ‘Chang’ – brew made of fermented millet in Khecheopalri Lake. By Air - The closest air port is at Bagdogra, which is 140 kilometers from Pelling and connected by Air with all important Indian metros. Bagdogra airport is well connected with the rest of India. There are daily flights to Delhi and Kolkata. 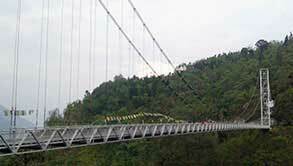 By Road - Pelling is 115 kilometers from the state capital Gangtok and about 135 kilometers from Siliguri and 120 kilometers from Darjeeling. 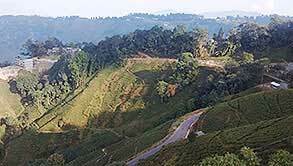 Pelling is connected with Kalimpong and Siliguri by the national highway 31 A. The Sikkim Nationalized Transport plies regular bus services between Gangtok and Pelling. Private buses, taxis and jeeps are also available from Siliguri & Bagdogra.